WL Gilmer, MD is a board certified ophthalmologist and established the Riverside Eye Clinic in Port Orange, FL in Spring 2013. He was born and raised in Jacksonville Beach, Florida, and attended Washington & Lee University, graduating with honors. After serving 2 years as a Peace Corps Volunteer in the village of Kumbungu, Northern Region, Ghana, West Africa, Dr. Gilmer worked for 2 years at the Department of Energy in Washington, DC before attending the Georgetown University School of Medicine; his residency was completed at New York Medical College/St. Vincent's Hospital, Manhattan, and his fellowship was completed in Cornea & External Disease at the Proctor Foundation/University of California, San Francisco. While in training, Dr. Gilmer maintained an interest in overseas work, and was fortunate enough to complete two international ophthalmology electives, one at the historic Groote Schuur Hospital in Cape Town, South Africa and the other at the Lumbini Eye Institute in Lumbini, Nepal. 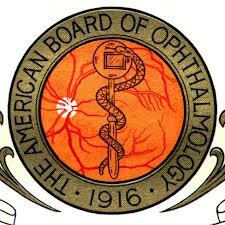 Research work includes publications in the British Journal of Ophthalmology and the Archives of Ophthalmology. He became Board Certified in 2012 by the American Board of Ophthalmology, and is a Fellow with the American Academy of Ophthalmology. In 2006, his father and mother founded the Jesus Clinic in Daytona Beach which works to provide free medical care for the uninsured of Volusia County. In 2012, Dr. Gilmer returned home to be closer to family and opened the Riverside Eye Clinic in 2013. His wife Melissa is a Trauma Therapist for our Veterans at the VA Hospital in Orlando.